Goodbye 2014 … Welcome 2015! We retired the blog near the end of 2013 and allowed it to rest for a year. But it is back, better than ever, for 2015. Watch for an inspiring quotation every Monday to kick off your week with purpose. In addition tips and techniques will be shared throughout the month. And visit the website regularly for announcements about available webinars, workshops and teleseminars. I will do consulting work only with organizations that are ready, willing and able to take their inclusion initiatives up a notch. I will guide them in the development or refinement of a customized strategic approach that fits their culture, their industry and their business priorities. This is intensive work and I refuse to take a “cookie cutter” approach. If you are ready to invest in a strategy that aligns with your mission, provides practical methods for execution and instills true meaning into diversity and inclusion then you are one of the few, select organizations I’ll work with this year. I will provide practical education and support for hundreds of leaders who are serious about being champions for diversity and inclusion by offering live workshops and web-based training. Training sponsored by employers or associations will reflect their specific industry and culture. Training offered directly to the public by Diversity Trends LLC will provide self-guided opportunities for individual customization. Being inclusive requires SKILLS; awareness alone isn’t enough. If you want people in your organization to develop skills, systems and strategies that lead to inclusion I’d love to design and deliver training for you. I will inspire thousands through keynote speeches at conferences, business meeting and online events. If you are looking for a business speaker who also knows how to energize your group let me know. I am known for helping people shift their focus from rights to respect … and from viewing diversity as a problem to recognizing inclusion creates more opportunities for everyone. If it’s time for your organization to emphasize the business-related imperatives that drive your commitment to inclusion, I am the speaker you need to hire. Some people think diversity is dead … and inclusion is unimportant. If you are reading this, I know you are not one of those people. Are you ready to explore “what could be” with me? Are you ready to take your inclusion strategy to the next level? 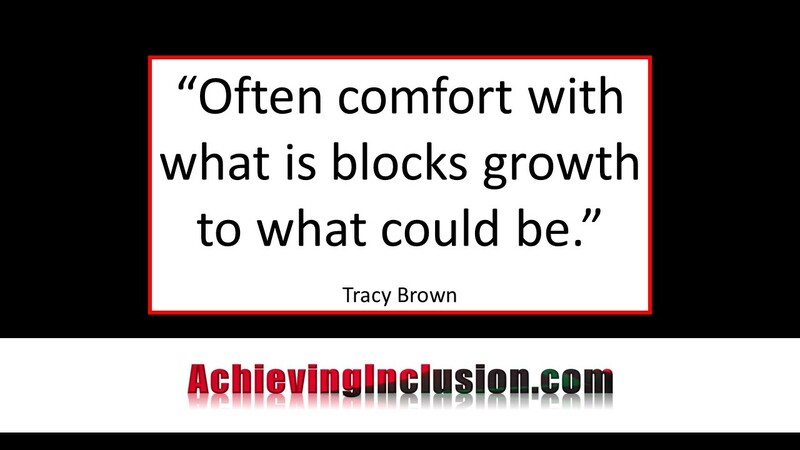 Are you ready to lay the foundation for a lasting legacy of inclusion in your organization? Let me help you take a strategic approach to creating an inclusive culture in 2015!